For decades, the Rosenberg family has been attempting to recover this Degas work, “Portrait of Mlle. 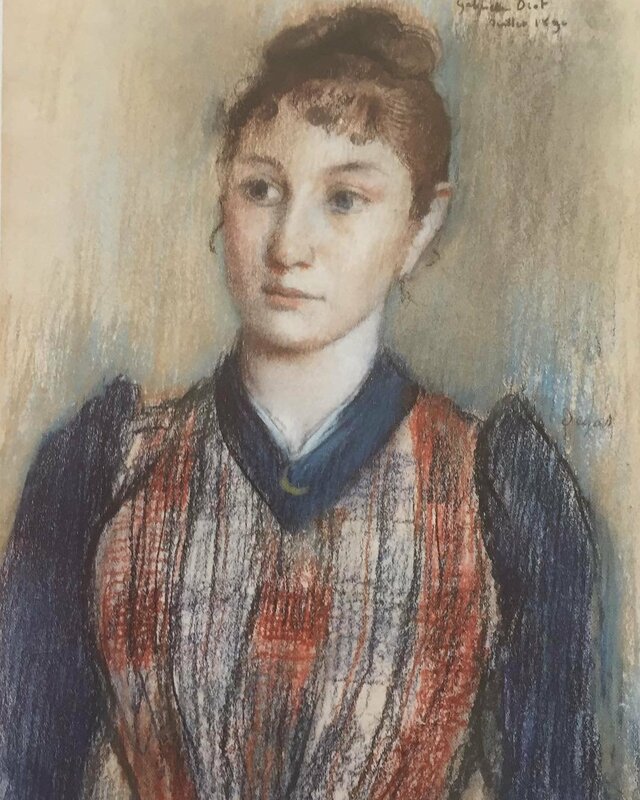 Gabrielle Diot,” a pastel portrait that was taken from Parisian art dealer Paul Rosenberg by the Nazis. The family of Paul Rosenberg, a renowned Paris art dealer whose gallery had exclusive arrangements with Braque, Matisse and Picasso, has worked tirelessly, with tremendous success, to recover the 400 works the Nazis looted from him. That Mr. Rosenberg kept meticulous records and purchased museum-quality art helped the family to reclaim all but 60 pieces. 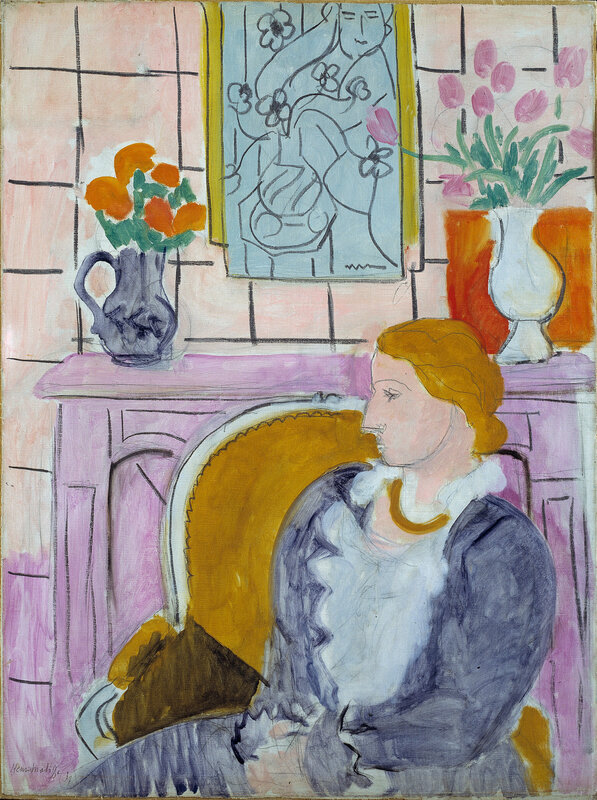 The works recovered in recent years include Matisse’s “Woman Seated in an Armchair,” discovered in the Munich apartment of the reclusive Cornelius Gurlitt. Another Matisse, “Woman in a Blue Dress in Front of a Fireplace” was returned by the Henie Onstad Art Center in Norway in 2014. But one pastel portrait by Edgar Degas, an image of particular importance to Paul Rosenberg, has proved to be maddeningly elusive. For decades, the family has been tracking the pastel, “Portrait of Mlle. Gabrielle Diot,” created in 1890. Yet efforts to recover it have been repeatedly thwarted, even though the family knows the identity of a German dealer who has tried several times to sell it. International law doesn’t govern such situations. The rights to possession recognized under German law might make litigation difficult, experts say, and the intervention of German officials on the Rosenbergs’ behalf has gone nowhere. Few families can match the Rosenbergs’ track record for getting back art lost in the war. Though Paul Rosenberg’s records were helpful, so were the patience and perseverance of three generations of family members whose efforts stretch back to the waning days of the German occupation of Paris. In August 1944, Lt. Alexandre Rosenberg of the Free French forces stopped a train outside the city, only to find that it contained many of the works that the Nazis had looted from his father. Not among them was the Degas portrait of Ms. Diot, a young woman with limpid blue eyes and chestnut curls piled atop her head. It had once hung in Paul Rosenberg’s study in Floirac, near Bordeaux. The dealer rented the house as a refuge from the Nazis in 1940. After the Rosenbergs fled France, the German ambassador had the portrait seized from the house, along with other items, and it wound up in the Jeu de Paume, the Paris museum the Nazis converted into a warehouse for pictures plundered from Jews. Paul Rosenberg had exclusive arrangements with masters of modern art, including Braque, Picasso and Matisse, whose work he stood alongside here. The family did not know the portrait’s whereabouts until 1987, when it turned up in the catalog of a Hamburg art dealer, Mathias Hans. Marianne’s mother, Elaine Rosenberg, spoke to Mr. Hans on the phone, but the conversation did not go well, said Christopher A. Marinello, the founder of Art Recovery International, based in London, which is working with the family. Mr. Hans wanted the Rosenbergs to buy back the pastel. Ms. Rosenberg refused, Mr. Marinello said, and when she did, he said, Mr. Hans told her the portrait would be returned to the consignor and she would never get it back. Mr. Hans declined to be interviewed for this article. But his colleague, Anne Auber, said in an email that Ms. Rosenberg had insulted Mr. Hans during the call. Ms. Auber declined to identify the current holder of the work, except to say that the portrait is now in Switzerland. But she gave a brief history of the work, tracing it back to a Swiss family, who lived in Ascona, a town on Lake Maggiore near Italy. She said the family had bought the portrait in Paris in 1942. Mr. Hans has said he later helped them broker its sale in 1974 to the current holder. No subsequent sales seems to have occurred, despite the catalog listing in 1987. But Mr. Marinello said he learned by chance that the dealer had tried to sell the portrait again in 2003. 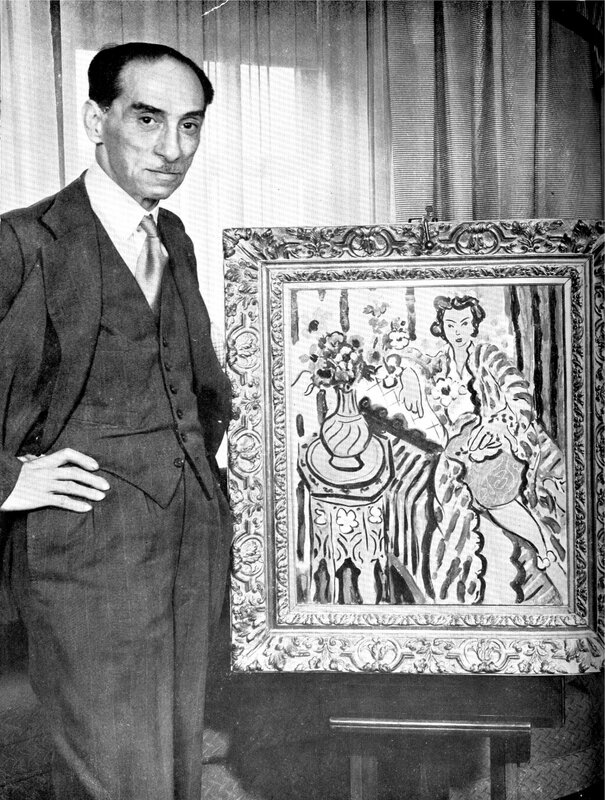 A German businessman, Christian von Bentheim, told Mr. Marinello that he had been approached by Mr. Hans and asked if he could help facilitate a discreet private sale of “Portrait of Mlle. Gabrielle Diot” for a price of about 3 million euros, or about $4.6 million today. Mr. von Bentheim, who had no experience in art dealing, said in an interview that he had asked Robert Morgan, an artist friend of his, to look into the pastel. Mr. Morgan said he contacted a curator friend who quickly established that the work had been stolen from Paul Rosenberg. “I told Christian it was looted and advised him to have nothing to do with it,” Mr. Morgan said by telephone. Selling the portrait is difficult because it is listed on several international databases of looted art. Mr. Marinello said he reached out to Mr. Hans again in 2016, asking him to reveal the name of the holder of the portrait, but Mr. Hans again declined. So Mr. Marinello tried a new tack, writing to the German Culture Ministry asking the government to intervene to recover the portrait. A ministry official contacted Mr. Hans requesting that he reveal the name, or contact details, of the consignor, Mr. Marinello said. Among the works recovered by the Rosenberg family in recent years is this painting by Matisse, “Woman in a Blue Dress in Front of a Fireplace,” that was returned by a Norwegian museum in 2014. Mr. Hans said his client wanted the Rosenbergs to refund the 3.5 million Swiss francs ($3.5 million) that the client had paid for the work in 1974. Jewish heirs of looted art have agreed in other cases to partially compensate good-faith buyers, or to auction disputed works and divide the proceeds. Even the Rosenbergs have compromised in the past: In 1970, Alexandre Rosenberg accepted a below-market value compensation payment for a looted Degas painting that had surfaced in Cologne, Germany. Marianne Rosenberg said it makes no sense to pay for the return of a looted work, especially when the current holder has tried to sell it, knowing it was stolen. But the family has no plans at this time to file a lawsuit in an effort to recover the work at this time because of the difficulties involved. “German law is not restitution-friendly,” Mara Wantuch-Thole, a Berlin-based attorney who specializes in such cases, said. While German law says even a good faith purchaser cannot pass good title to a stolen work, it also stipulates that theft claims should be made within 30 years. And, after 10 years, the law recognizes the possession rights of the current holders unless it can be shown they knew the work had been stolen when it was purchased. German law would apply, lawyers said, because the dealer, whose gallery is in Hamburg, is the only person currently identified with the work. The Rosenbergs had hoped pressure from the German government would persuade the dealer to cooperate, to at least provide a name of the current holder so that they could engage in direct negotiations. But Mr. Marinello said the German official told him the government could do no more.